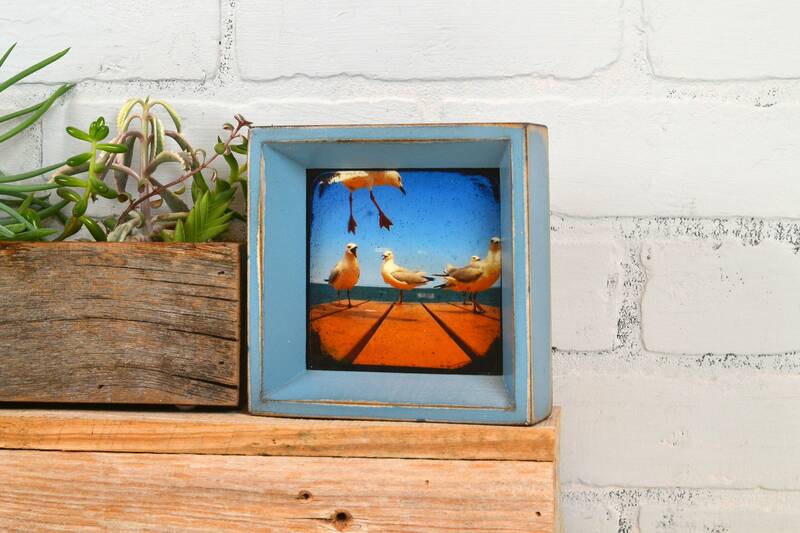 A deep, charming, handmade 4x4 photo frame. 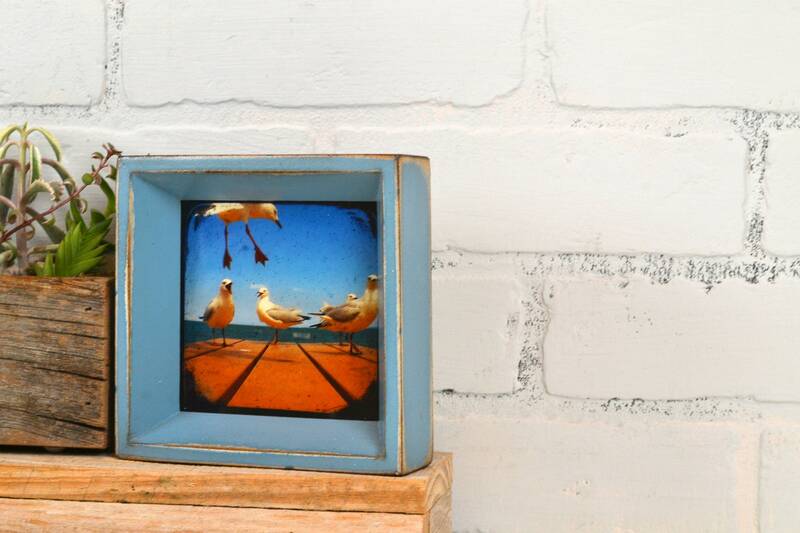 It makes a lovely housewarming or wedding gift. Perfect for framing family portraits, puppy drawings, ticket stubs, etc. 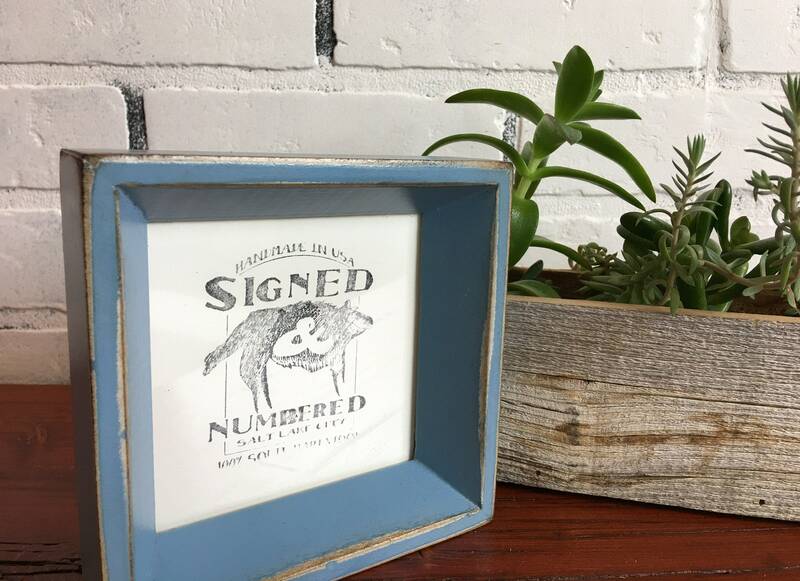 This frame is built and able to ship ASAP! 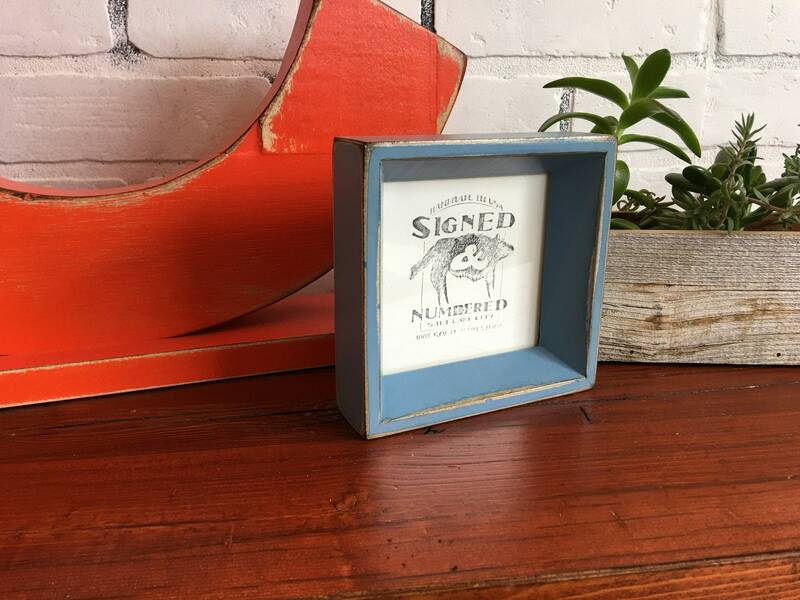 This listing is for a 4" x 4" picture frame in our Park Slope style. 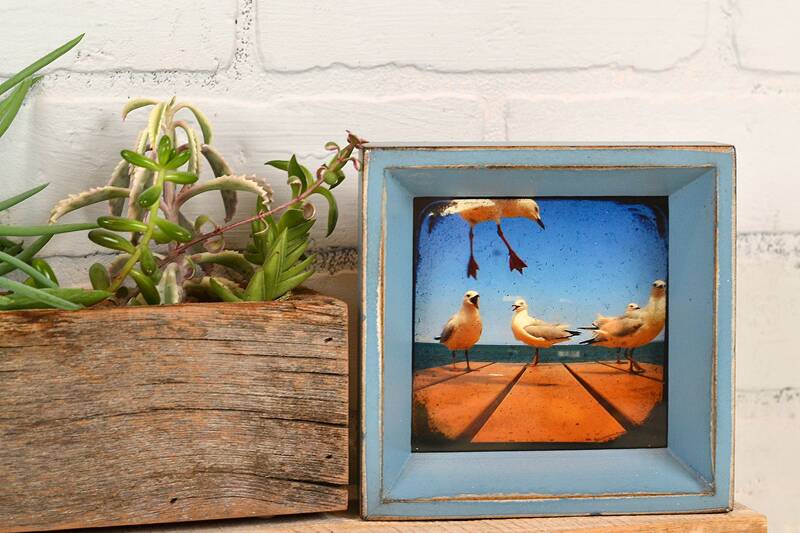 The Park Slope frame style features a slim face (1/2" wide), and it is 1.5" deep on the side. The recess sets the picture back in the frame almost 1 full inch. 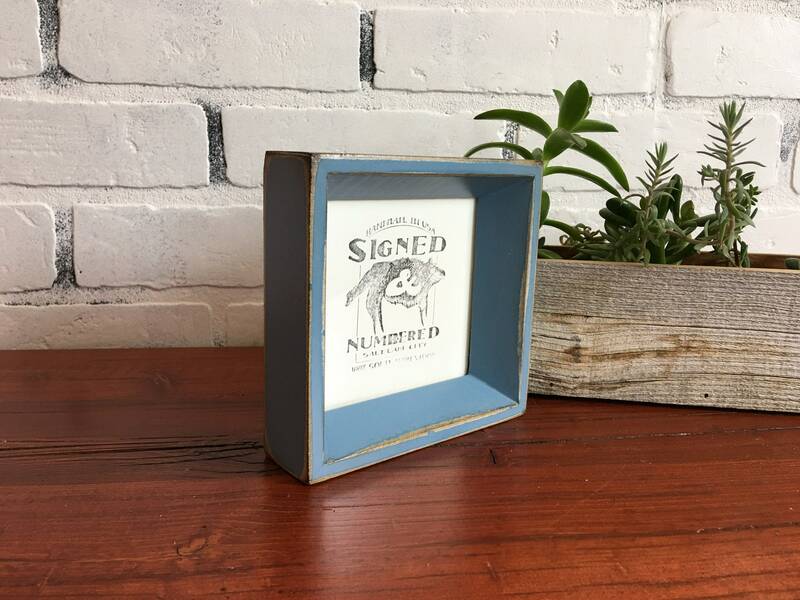 The overall OUTSIDE dimensions of this frame are 5.25 x 5.25 inches.